It has not been long since Elk Studios appeared on the market and launched their first online game, yet, five years was quite sufficient to establish this Swedish software developer as one of top gaming solutions provider and a serious industry competitor. From the very onset of their market presence, the company has been focused on designing online games with optimized functions that can adjust to any device and operative system. Beginning their journey in the middle of mobile technology era, Elk has recognized the importance and the potential of creating games that can easily adapt to both mobile and desktop devices without forcing the user to make any compromises in terms of visual and audio quality. According to Elk, the process of creating a successful game rests on three principles: concept, art and maths – by systematically implementing this formula, the developer seems to have consciously decided to give advantage to quality instead of quantity. It is precisely because of this notion their games are unique pieces of art that have a cinematic feel to them, giving the player more than just a standard online slot. With Elk, you get an entire background story, a narrative that places the reels within a context and shifts the gameplay to a completely different level. 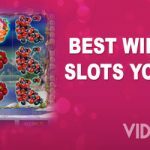 Considering the level of dedication and the methodical approach used with their every new release, it comes as no surprise that Elk slots are included in the offer of most online casinos. 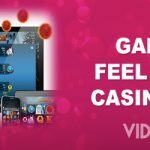 They are particularly popular with a somewhat younger and more mobile device oriented users, who have higher demands when it comes to online gaming. 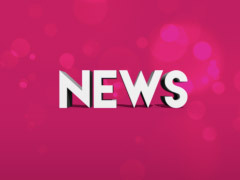 The mere spinning of the reels no longer makes the final cut with a modern online casino player and the creative team from Elk took it upon themselves to launch a complete product – an engaging story with great visual and audio background, excellent winning potential and original special features. One of the games that seems to be continuously growing in popularity is Taco Brothers, 5 reels and 243 Ways Wins slot that takes the player to a colourful Mexican village, in the midst of Taco Brother’s uprising against Captain Diaz. Along with the fun theme and upbeat visuals, the slot has a lot to offer when it comes to bonuses – the Taco Brothers Wild will unlock the Re-spins and the combination of three Safe symbols activates the Bonus Games, packed with Free Spins. Thanks to its brilliant, movie-like storyline and captivating visual presentation, Taco Brothers was revived as a sequel and soon Taco Brothers Saving Christmas was launched. Even the holiday version of the original slot has gained its fair share of success, keeping all the familiar characters (Pepe, Paso, Pico, Captain Diaz and Señorita) but with a re-design that reflects the holiday spirit. Both versions have the same potential payout of 150,000 coins and the RTP of over 96%, placing Taco Brothers slots within a medium to low variance game category. Another Elk Studios release that became extremely popular among online players in a short amount of time is Bloopers, a 5 reels and 243 Ways Win slot with an original and not so often exploited theme which depicts adventures of a film crew on a movie set. The potential payout in this game is higher than the one in both Taco Brothers releases – 185,000 coins – but the visuals are just as sharp and appealing as the ones you would expect to experience seated in front of the big screen in a movie theatre. 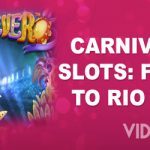 The centre theme is not the only unique thing about Bloopers; this slot features 5 types of special symbols, each triggering a different bonus – extra free spins, expanding wilds, symbol shuffle etc. A feature that is characteristic for Elk Studios slots is their betting strategy program, invented by the developer and integrated into their releases. The tool has several betting systems which can be activated via the Bet Level option. The first betting strategy is the Jumper, which will raise the level of the player’s bet after every winning session and reset after a losing round. The second strategy is called the Leveller. By activating it, the player increases the stake after 5 losing rounds in a row and resets the stake amount after a win. Booster is a negative progression strategy that raises the bets after every loss and reverts to the original bet after a winning round. Some latter Elk releases include an additional betting strategy called the Optimizer, where the bet level adapts to your current balance, making the optimal bet. Each of the strategies is optional and the players can ignore them completely and follow their own betting path. However, if you like adding some structure to your gameplay, you will find the option extremely useful. 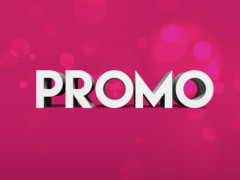 Although Elk is only at the beginning of their professional journey and, some would argue, still relatively new on the market (at least compared to certain developers that have been around from the very beginning of the online gambling), the company managed to rise to the very top of the online entertainment industry and has quickly become one of those software providers whose slots are eagerly awaited. 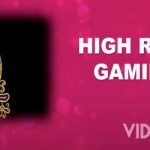 Their limited gaming catalogue is a clear sign of their dedication to the supreme quality and no less is expected from their latest release, Hidden, announced for this September. Judging by the demo version, Elk does not digress from their strict formula that has initially put them on a map and we simply cannot wait for the opportunity to test the full slot version. Beautifully executed, Hidden already looks like a classic in the making and sets the bar high for Elk’s future editions, just like their previous launch, Ivanhoe. With every new release, Elk proves to be up to the task and keeps us holding our breath until the next one.